Sitting in traffic yesterday afternoon singing along to the song on the radio, I look across at the woman in the car next to me. She's singing along to the same song too :) These are the sort of little things that make me smile. I wonder if wikipedia-ing someone will eventually replace google-ing someone? 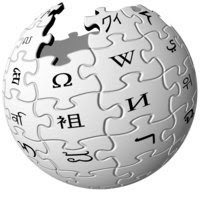 Will ordinary citizens start writing entries on wikipedia about themselves? I was fascinated by the concept that I could actually do this, and quite easily. Hey PhillyGirl - thanks for stopping by on my blog, I always appreciate a new face [profile at least] coming to visit. On googling people, funny that I have never done that. Strange, now I can see my self googling and wikipedia'ing everyone I know. Thanks for smashing my Monday morning productivity. I'm a huge fan of googling. I'm sure I've done it more than once for most people I know ... hey, I'm nosy, but I knew that already! It's unfortunate (or fortunate, depends on your point of view) that most South African's don't have too much of a personal web presence - nothing on par with the crazy American's. Hell, I'd be thrilled if more restaurants in South Africa even had a web presence ! !